Louisiana just passed a suite of prison reform bills, but incarceration will remain a problem so long as district attorneys keep wrongfully locking people up. This week, Louisiana legislators passed a comprehensive package of criminal justice reform bills aimed at dethroning the state as the king of incarceration. By locking up 1,143 of every 100,000 people in the state, Louisiana incarcerates at nearly twice the national average rate—and six times over Mexico’s incarceration rate. Adding to Louisiana’s carceral state miseries is the fact that half of the people in its jails haven’t even been convicted of any crime. The bills passed in the legislature don’t completely overhaul the criminal justice system, but it is expected to shed 10 percent of the state’s prison population over the next 10 years. Among the bills passed are measures that will reduce or eliminate mandatory minimum sentencing, make court fines and fees more affordable for low-income defendants, and eliminate incarceration and driver’s license suspension as penalties when people fail to pay those fees and fines. This historic reform package was passed with the help and sponsorship of some of Louisiana’s most conservative legislators. Louisiana’s actions are an important first step to reforming the state’s criminal justice system. The legislature is not off the hook and additional reforms are still needed, but these measures represent a key moment in the larger push to end mass incarceration in the United States. 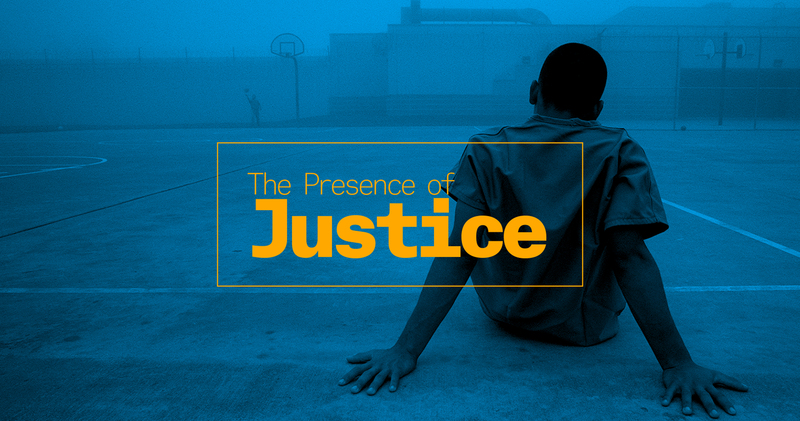 Louisiana has the highest incarceration rate in the country, and in the world, and is one of the most important battlegrounds for the longer fight for truly advancing justice. As the federal government sprints backwards on this critical issue, reverting back to policies that have failed for 40 years, the states are leading the way in building stronger communities and families. The state’s district attorneys association fought earlier attempts at passing similar reform legislation the past couple of years—not surprising given imprisonment is their main criminal justice tool. Their insistence on placing convicts in jails and prisons for lengthy terms rather than diverting them to rehabilitation or supervised release is a major culprit of the mass incarceration crisis. These district attorneys are also placing a lot of people in jail for crimes they didn’t do—the state has the second highest rate of exonerations per capita in the country, according to the National Registry of Exonerations. New Orleans is the primary driver of those wrongful convictions—Orleans Parish, where the city sits, holds the title for having the highest exoneration rate per capita of all major counties in the country, according to the National Registry’s report on exonerations across the U.S. The main reason for this racial disproportion in convictions of innocent drug defendants is that police enforce drug laws more vigorously against African Americans than against members of the white majority, despite strong evidence that both groups use drugs at equivalent rates. African Americans are more frequently stopped, searched, arrested, and convicted—including in cases in which they are innocent. It’s not just police hammering down on enforcement. District attorneys also are culpable for aggressive prosecution, mostly for non-violent, victimless drug possession charges, a practice that Attorney General Sessions is now encouraging—no, requiring of prosecutors. That’s the kind of overzealous activity that often sends innocent people to prison. In New Orleans, where such miscarriages of justice ring loudest, the volunteer court-monitoring group CourtWatch NOLA has been monitoring cases to document the ways that prosecutors slip up. According to CourtWatch’s latest annual report, prosecutors presented no evidence whatsoever in close to 60 percent of the trials monitored in 2016. That’s out of nearly 7,000 cases CourtWatch observers covered last year. In 12 percent of those cases, one eyewitness testimony determined the fate of a trial, despite the fact that eyewitness misidentification is the largest culprit for wrongful convictions. Consider the National Registry of Exonerations race and wrongful convictions report, which states that African-American men “constitute half of sexual assaults with eyewitness misidentifications that led to exoneration,” specifically when the accuser was a white woman. Black men imprisoned for sexually assaulting white women were three-and-a-half times more likely to be later found innocent than white sexual assault convicts. “The major cause for this huge racial disparity appears to be the high danger of mistaken eyewitness identification by white victims in violent crimes with black assailants,” reads the report. And yet single eyewitness testimony is what New Orleans prosecutors relied on more than any other kind of evidence last year, when they bothered to present evidence at all. “The fact that over 57 percent of all trials seen by court watchers contain no physical evidence, no scientific evidence, nor any eyewitness testimony is problematic and should be a good starting point for future improvement,” to the criminal justice system, reads the CourtWatch NOLA report. Another startling revelation: DAs have been issuing fake subpoenas to crime victims to force them to testify in court, often under threat of incarceration. If local prosecutors are really about protecting the victims and the public as they claim, these are awfully inelegant ways of showing it. The package of prison reform bills passed this week in Louisiana mostly focuses on people who are already in prison, and those who may be incarcerated in the future, which is a great start. But there is still much work to be done on the front end—reforming the district attorneys who are feeding people, often wrongfully, to these prisons in the first place.